Posted August 16, 2018 by Staff Writer & filed under Arts & Entertainment, Movies. Waterlogged would have been a better title. This is a monumental yawner from director Wim Wenders. 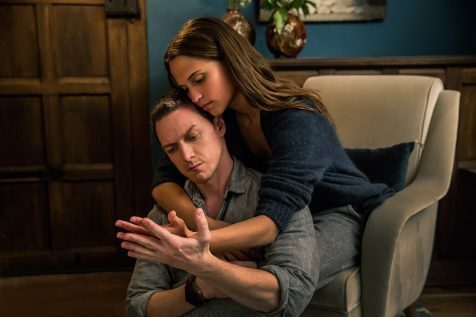 Scottish M16 agent James Moore (James McAvoy) and bio-mathematician Danielle Flinders (Alicia Vikander) exchange greetings on a beach in Normandy and after some cute courting, have a passionate romance. This encounter is told in flashback and takes us to around the middle of the film where, now staying in the present, the plot splits into parallel stories. James is being held captive by Somali jihadists after his secret mission goes badly wrong. Dani is about to go deep diving in a mini-submarine to look for the origins of life. They have been unable to contact each other and spend the rest of the film in morbid longing and reminiscence. Neither the story nor characters have been developed enough for us to really care what happens and the only tension is in waiting for the end credits to roll.